Prototyping formed sheetmetal parts has never been fast…until now. Rather than building the dies to actually form the part, Ford has developed a computer-controlled system that can do this with just the 3D CAD data. Pretty cool! Makerbot just unveiled a prototype of a new 3D scanner at SXSW, designed for the casual 3D printer users out there. It’s fast, but what’s really key is that it produces water-tight models (no gaps in the surfaces) that are ready to scale and send to your printer. At this point, details are sparse…stay tuned to this blog for updates or sign up for email updates directly from the source at Makerbot. 3D printing is a cool technology and one I’m really enjoying…but this 3D microprinter is in a class by itself. 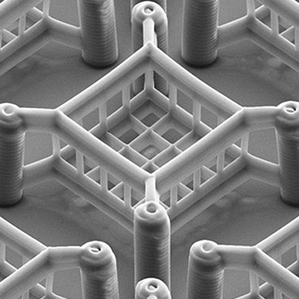 It can print features as small as 30 nanometers, which is about .000001″! It uses a process similar to stereo lithography, whereby a liquid resin is hardened by directed light in selective areas, building the part a layer at a time. Producing geometry at this scale can be useful for all your favorite nano-technologies…microneedles, microfluidics, etc. Cool stuff. Joy of joys…I finally have my own 3D Printer! 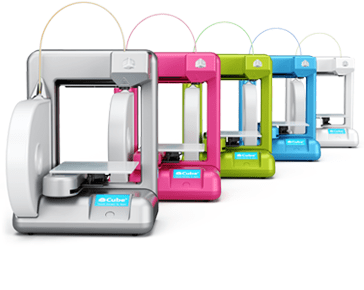 I’ll be writing much more about it soon, but in the meantime, if you’re interested in this stuff, check out this article at MAKE, it’s their self-labeled ‘Ultimate 3D Printer Buyer’s Guide‘. The options are many, though in the end, I opted for a lower end consumer oriented machine, as I don’t see the others filling my occasional need for professional quality prototypes. The machine I bought is the Cube printer from 3D Systems. The price was a bit high compared to the more DIY type options, but I opted for that as it’s more likely (I felt) to be a true plug and play, hands off sort of machine. I’ll be using it for quick, rough protos, though I expect I’ll still depend on vendors for higher quality prototypes at times. A perfect combo, really. Stay tuned for more on the Cube…I’ve been using it for only a couple days now and am learning a lot! 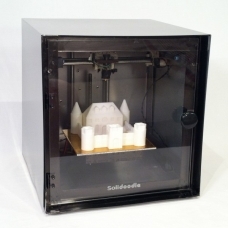 The cost of rapid prototyping has been plummeting lately with open source products like the RepRap and MakerBot, but now it’s hitting a new low…$500 for an extrusion style rapid prototyping machine from Solidoodle. What you save in money, you sacrifice in layer resolution…this Solidoodle, for example, uses 1.75mm extruded material so the parts have a definite stairstep look to them. Still, it’s awfully impressive and even that limitation can be acceptable for a lot of uses (especially if you sand or fill the parts to smooth out the layers after building). While material selection and build resolution are nowhere near as good as more expensive processes like SLS and SLA, this is a market that just didn’t exist a few years ago, and is quickly growing. 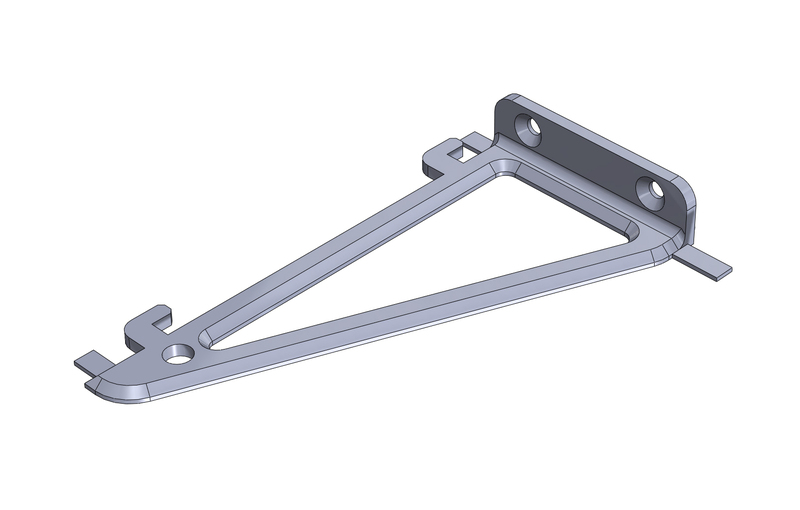 For those who don’t want to learn how to make their own 3D files, there are even websites like Thingverse where people can download files ready to print.